Iran is now at the center of political and social developments in the Middle East. 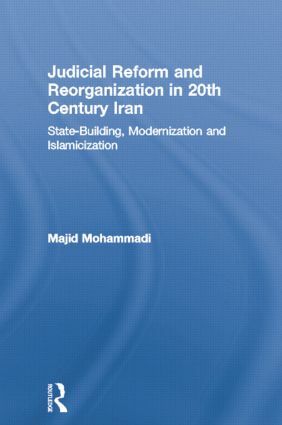 This book examines the reform of the judicial system in 20th century Iran and is the first to relate state-building process with rule of law promotion and judicial reform in the region. This subject occupies the critical juncture of three developments in the contemporary study of Iranian society as an important and early case of social revolution and reform in the Middle East: the state-building process in a non-Western country throughout the 20th century, the incorporation of a non-Western Muslim country into the Western legal framework through codification and transplantation (1911-1979), and the Islamicization process after this critical social development and the Islamic Revolution of 1979. This exceptional study furthers our understanding of Iranian modern history as well as the democratization process, human rights and rule of law issues in the Middle East.